All magnets are strong, but there are some that are much stronger than others. When you’re choosing a magnet for your next project, be sure you choose the right one. All magnets are strong, right? All magnets have a specific energy density that can be measured, and some have much greater strengths than others. Magnets are made from a variety of materials, which all alters the strength they are able to emit. 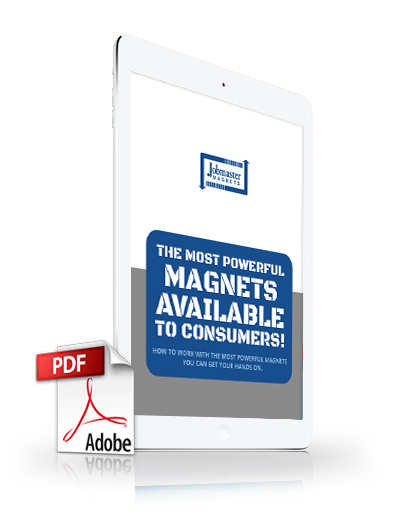 Let’s take a deeper look into the most powerful magnet on the market. Neodymium magnets, or rare earth magnets, are known to be the most powerful type of permanent magnets available to consumers today. While they are powerful, allow for dimensional reductions, and have good resistance to external demagnetization fields, they are not very resistant to corrosion and they are also sensitive to heat. What are neodymium magnets used for? Neodymium are one of the more diverse magnets available to consumers, and can be found across various industries. Business displays and signage – Magnets are used in many businesses to hold signs in place and attract customers, they are also used on company vehicles as opposed to paint or stickers, which are more permanent. 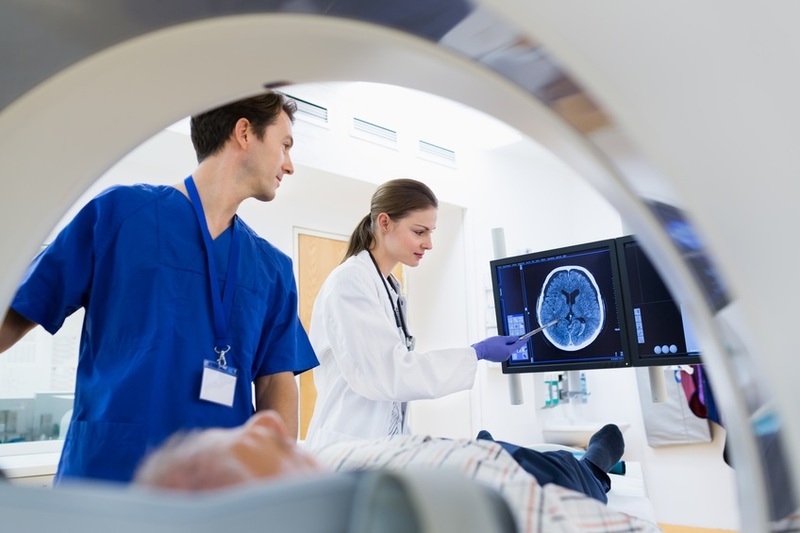 MRIs – These medical imaging devices interact with you by affecting the electrons in each atom of your body and capturing an image of the effect. Cordless appliances with smaller, high torque motors. Lifting – Magnets are used across the board to complete difficult lifting jobs, like moving cars, picking up large metal pieces, and even recovering vehicles from underwater. Neodymium magnets are the strongest type of magnet available to consumers, and using them improperly comes with risks. Don’t allow neodymium magnets to snap together with full force or they may chip or break, possibly sending small pieces of metal flying on impact. Wear eye protection as shattering magnets can launch fragments at great speed. Never allow children to handle Neodymium magnets, as small magnets can pose choking hazards. Keep neodymium magnets away from any magnetic-based storage devices such as desktop or laptop computers, hard drives, floppy disks, cassette tapes, VHS tapes, or credit cards. Their strong magnetic field can also destroy computer monitors, VCR's and TV's, and other CRT displays. Keep neodymium magnets away from water and moisture – Hydrogen causes them to corrode and breakdown. Want more tips and guidelines for working with neodymium? 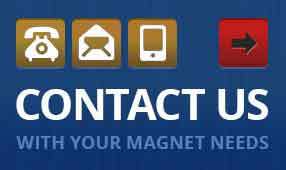 If you need more information on neodymium magnets, download this FREE guide! 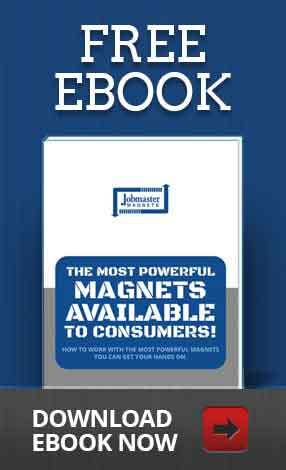 Jobmaster has provided hundreds of customers with safe, powerful magnets for use in personal and professional applications. We look forward to doing the same for you. Contact us today! What are the best magnet coatings for your application? Who Was Responsible for the Discovery of Magnetism? Where are Samarium Cobalt Magnets Useful? 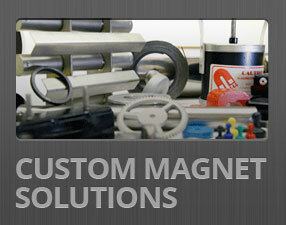 Our vast inventory of more than a million magnets, makes us a leading magnet supplier in the industry.